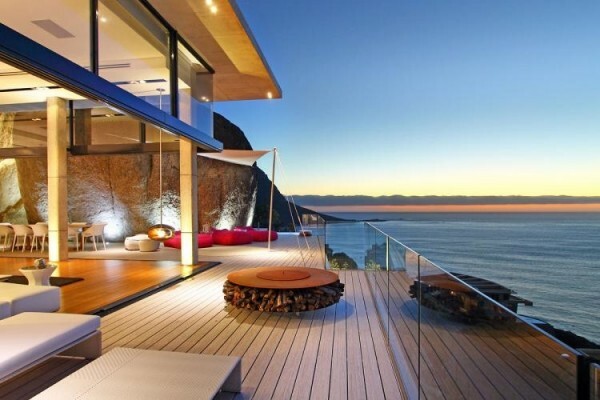 Now here is something you don't see very often. 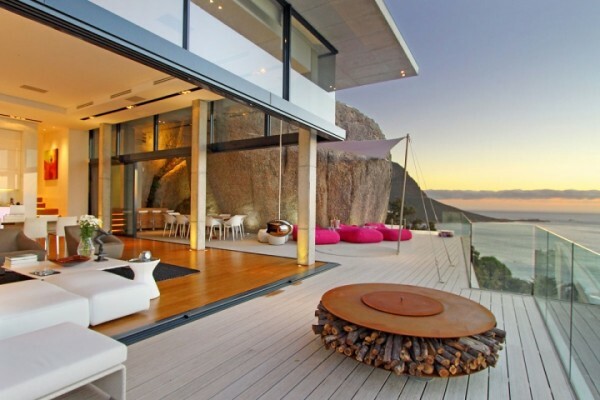 A house built right into a mountain. Let's be clear - it is not a structure built on top of it but built right around it. 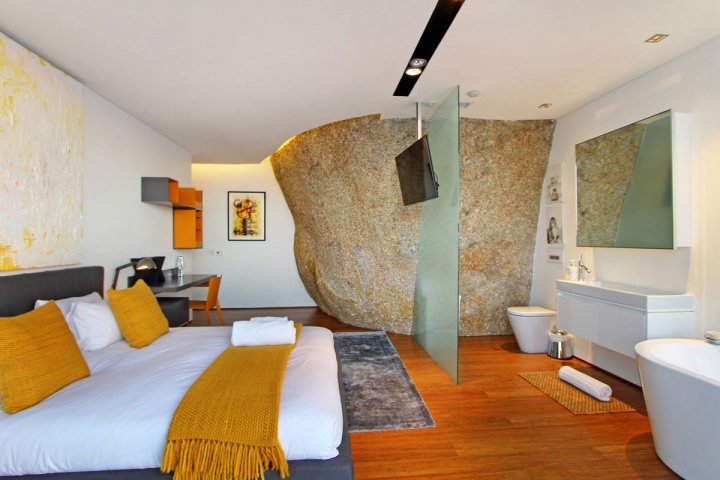 The boulders that form the mountain are actually imposing visual elements in the villa's overall design. It also lends a strange sense of context to the overall geography surrounding the house. 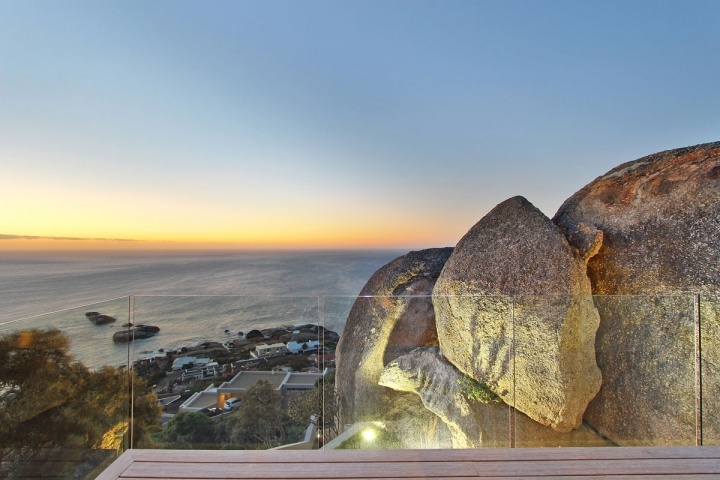 This villa truly connects you to the exterior terrain in every way with thick, granite boulders encompassing the modern, architectural masterpiece in places you wouldn't expect to see them. 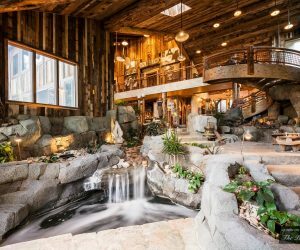 A natural color palette and materials give it a rustic feel, but the modern conveniences of surround sound, climate control and automated blinds will spoil you rotten. 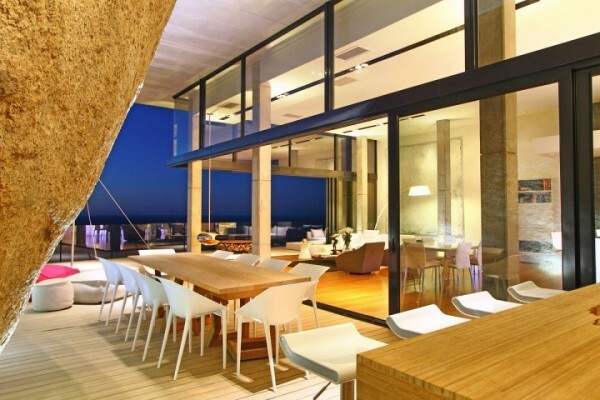 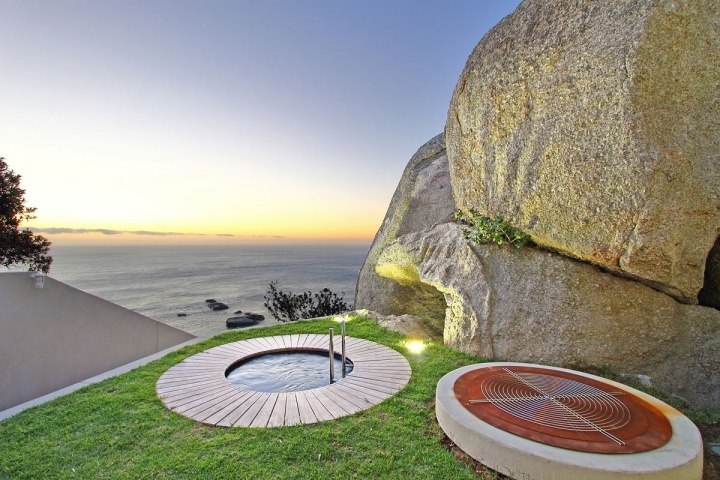 This quirky sprawling home in South Africa is listed as a holiday rental villa on Capsol and it will set you back by $4300 (₹2,54,000) per night. 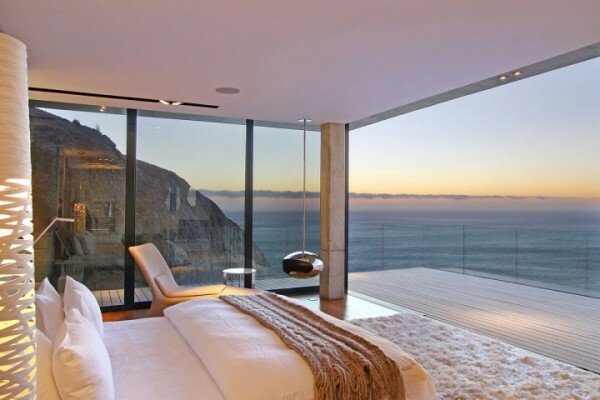 There are great views or nice views, and then there are breathtaking, once-in-a-lifetime views. 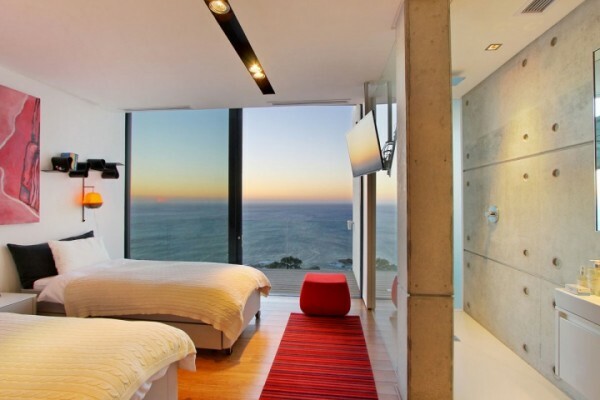 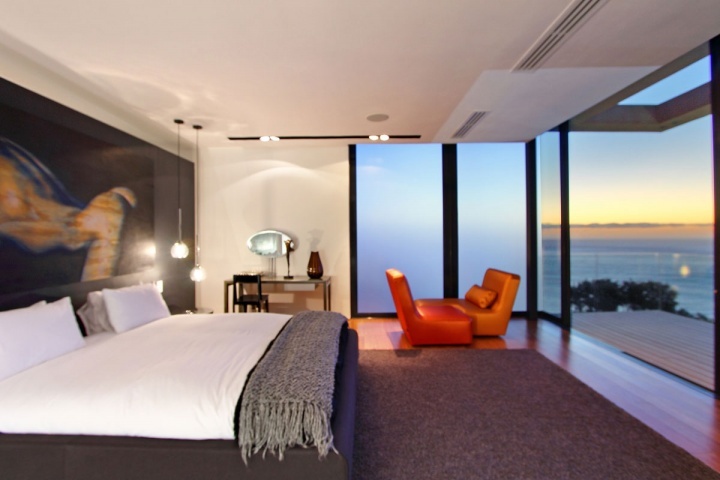 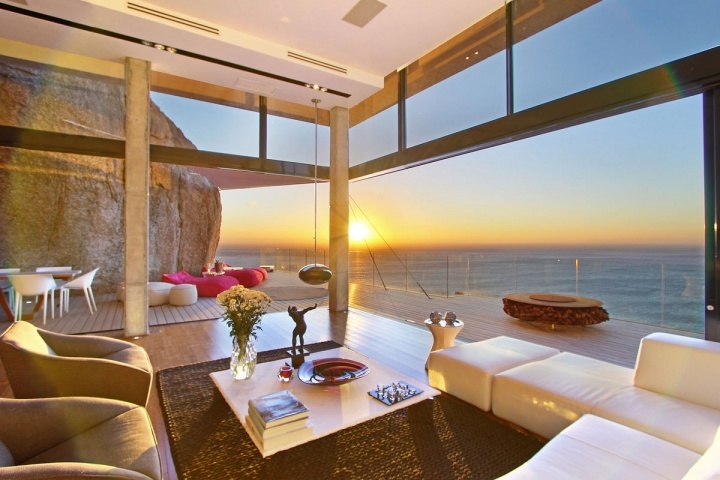 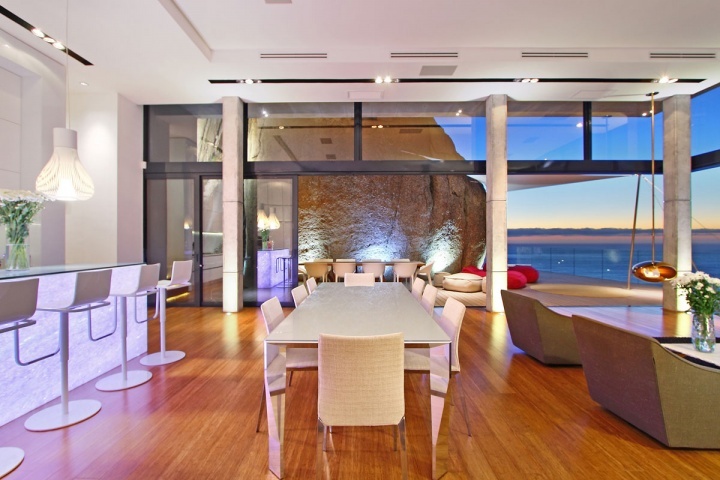 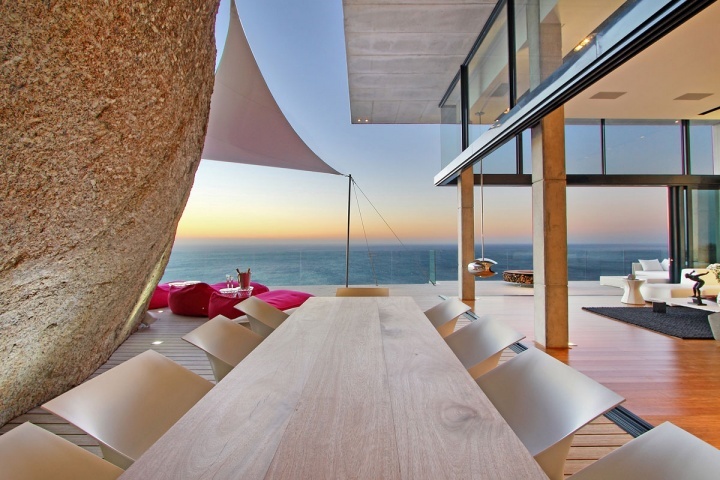 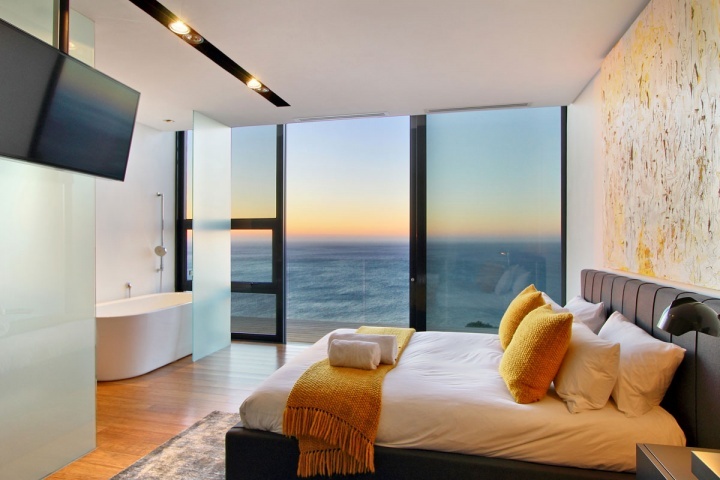 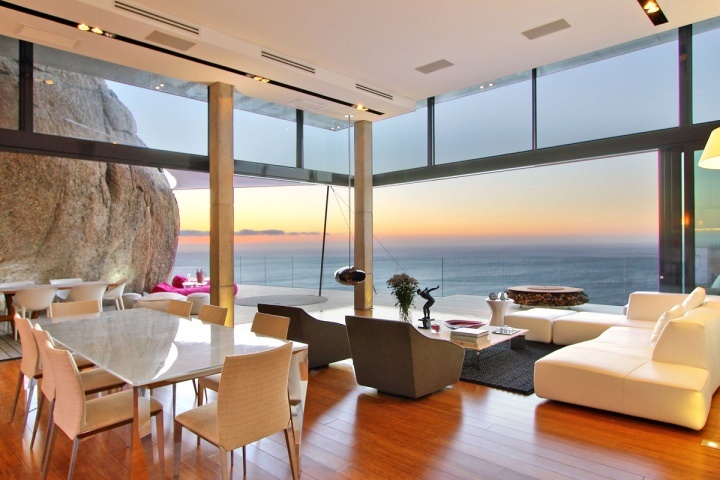 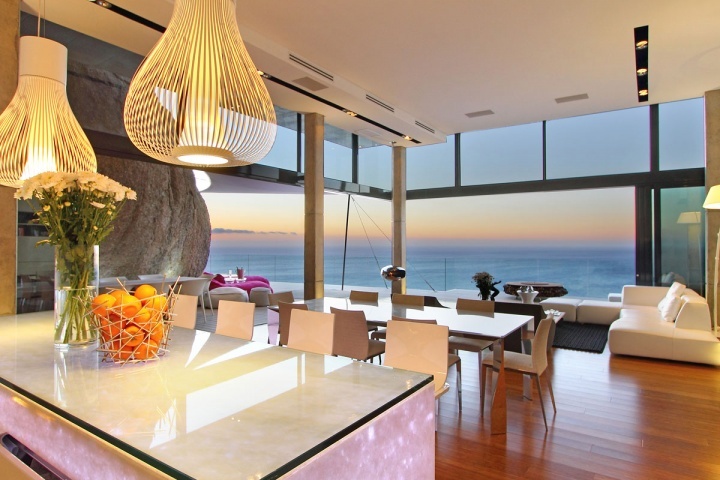 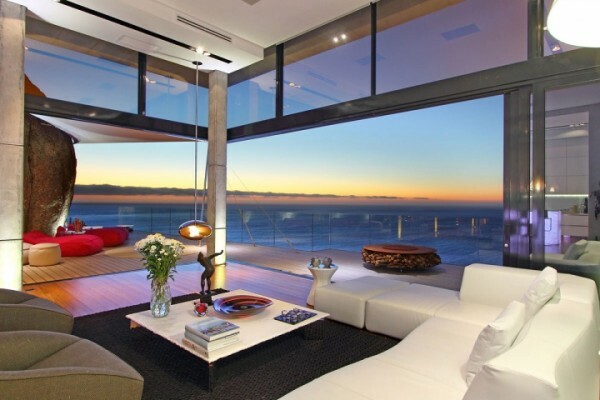 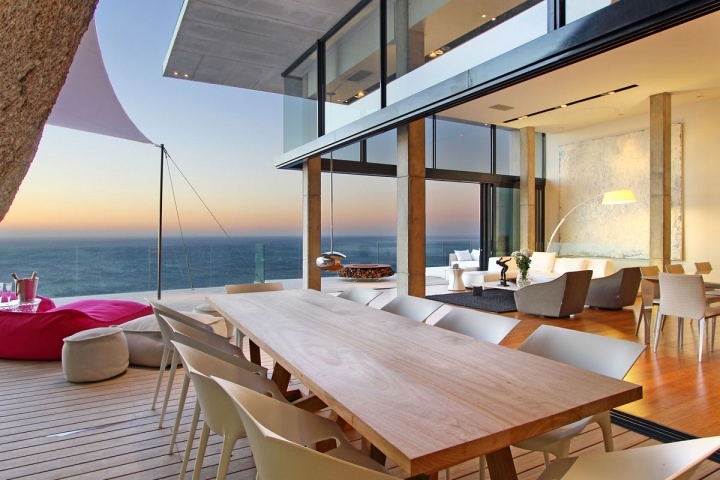 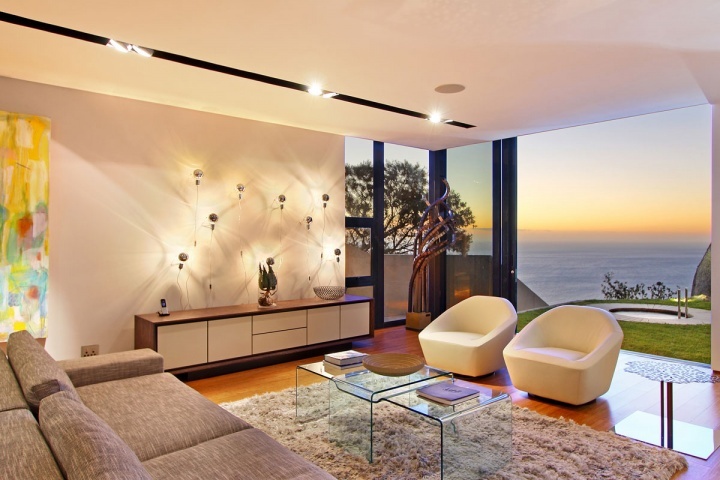 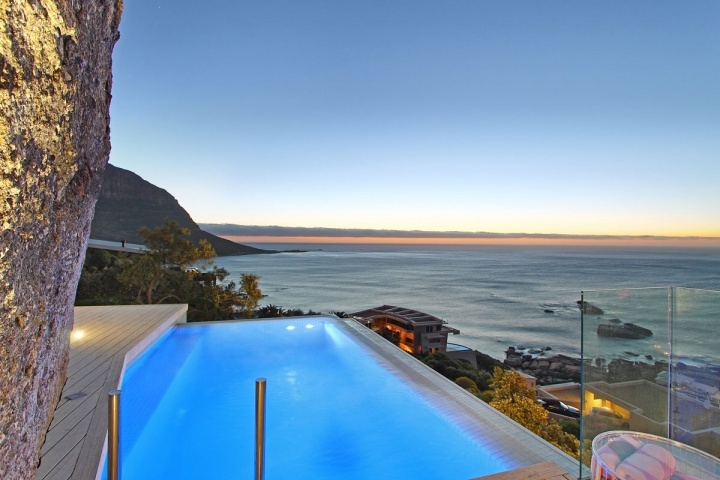 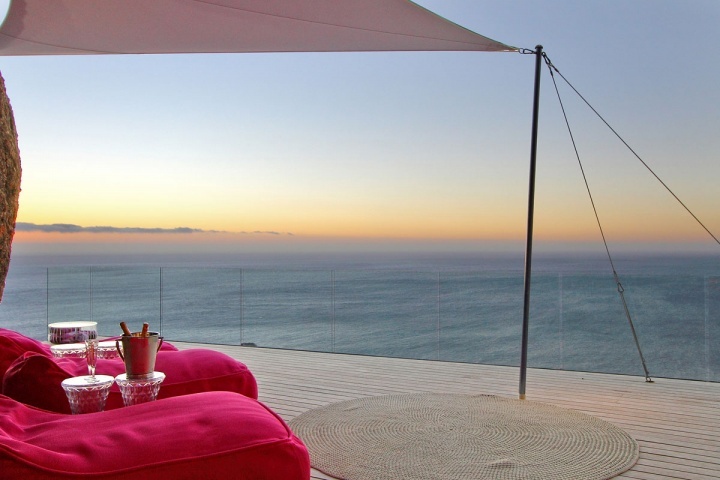 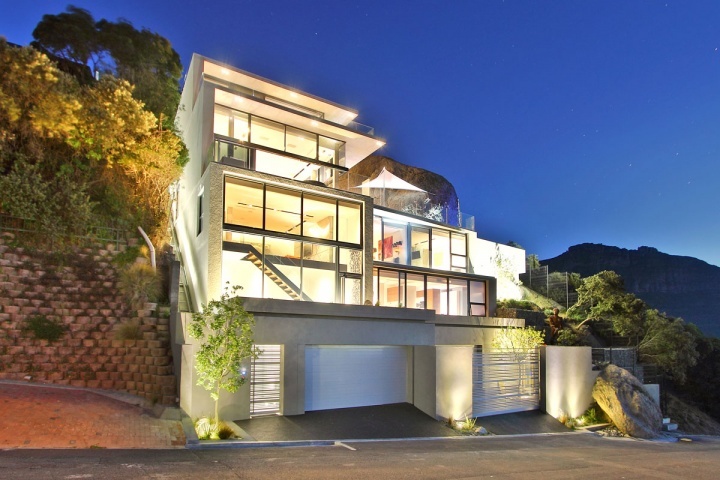 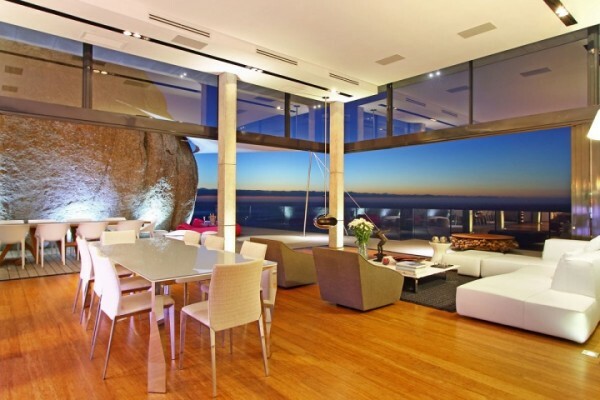 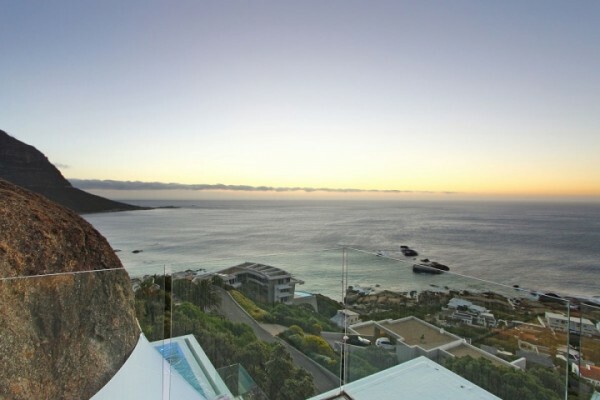 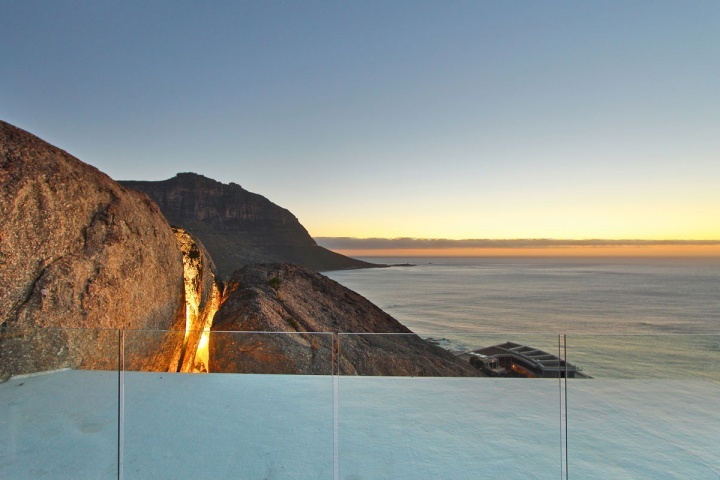 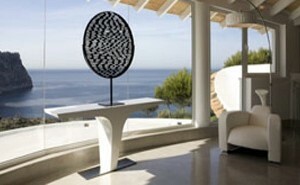 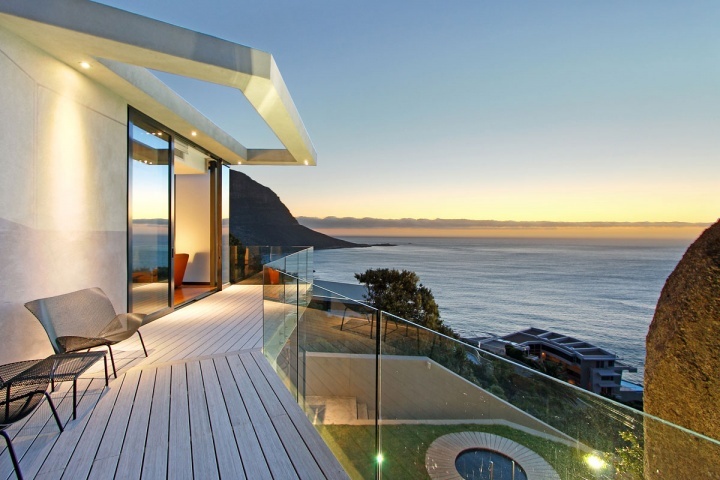 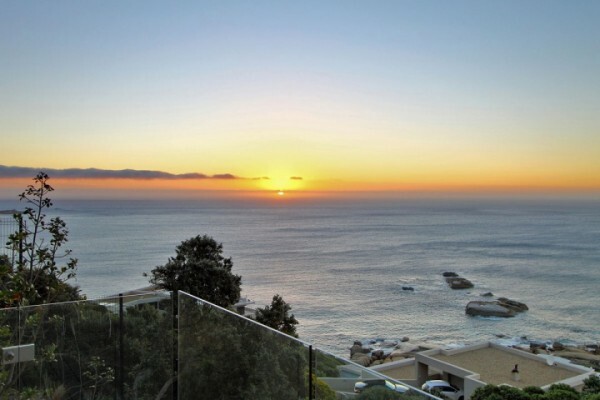 This is exactly what you will find at Villa 44 in Llandudno, South Africa. 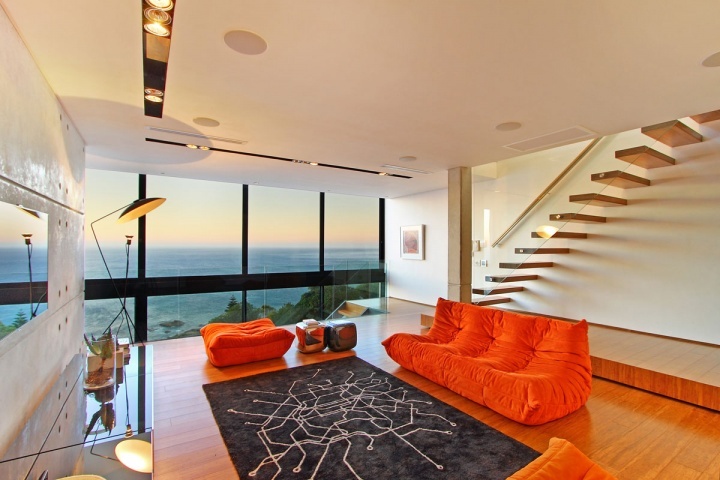 Just imagine seeing the sunset on a daily basis while relaxing here. The natural reflections of the setting sun bounce off the bamboo flooring and add a splash of color to the space. This is a home that truly connects you to the outside in every way, as your sight line will never be without the ocean and the mountains. You can hardly call cooking a chore when you have a vista like this to admire. 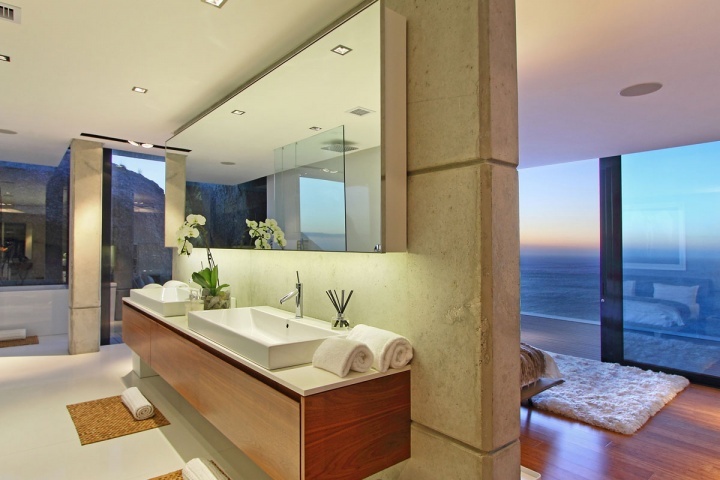 The master suite is clean with white finishes and a suspended chrome Cocoon fireplace. 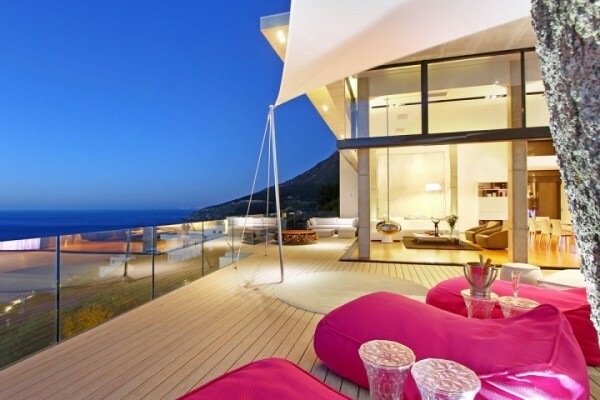 You won’t be able to resist taking advantage of the private deck either. 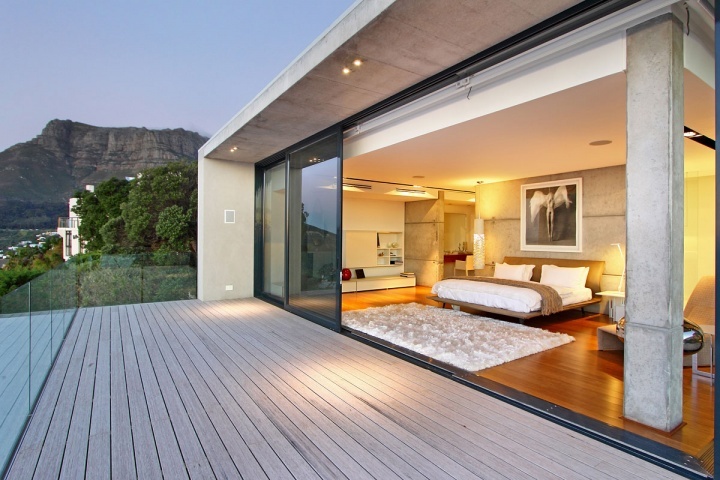 The master suite also boasts sliding doors that make the deck a part of the space. 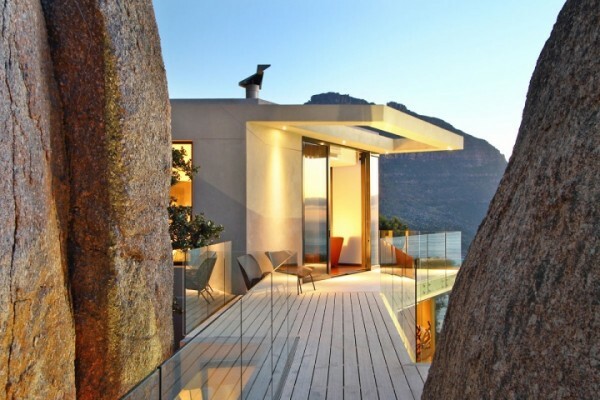 You just can’t ignore the fact that the mountain is part of the house – or is it the other way round? 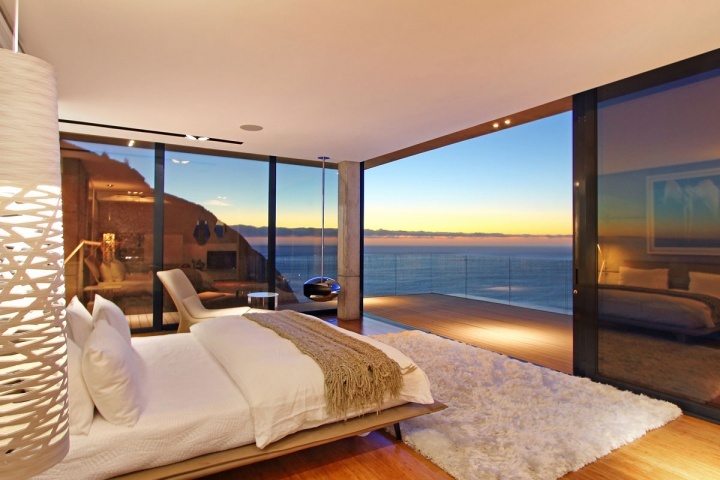 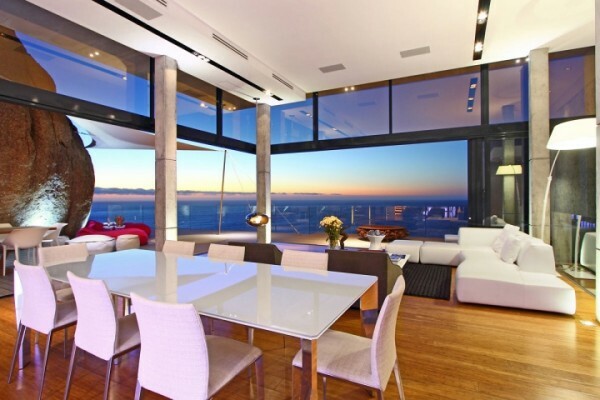 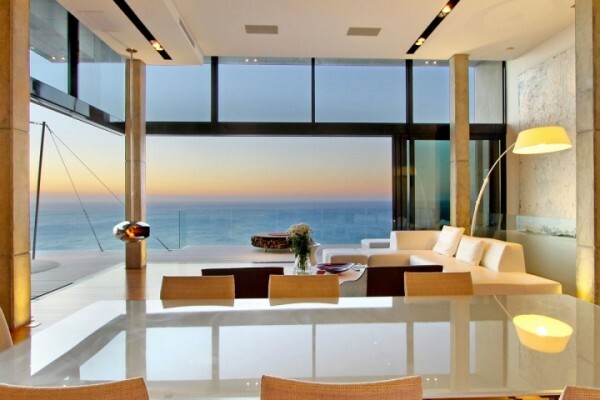 Full ocean views from nearly every room. 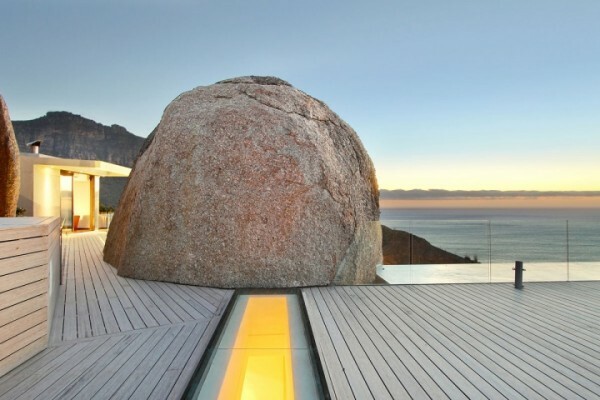 The deck expands into a pathway around the giant granite boulders. 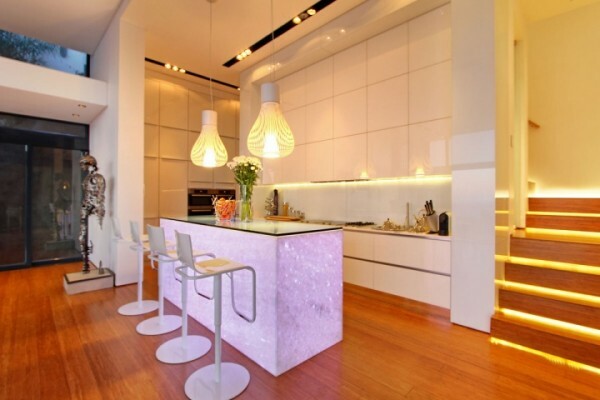 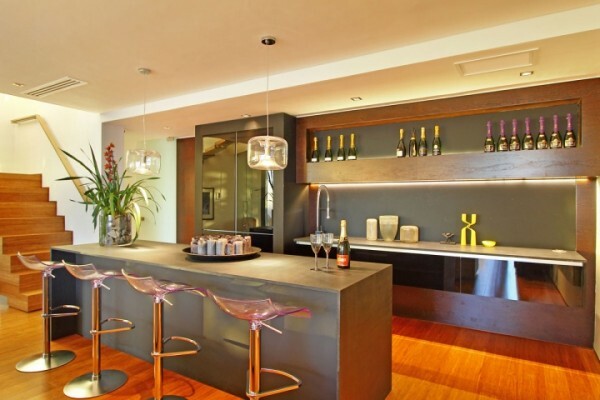 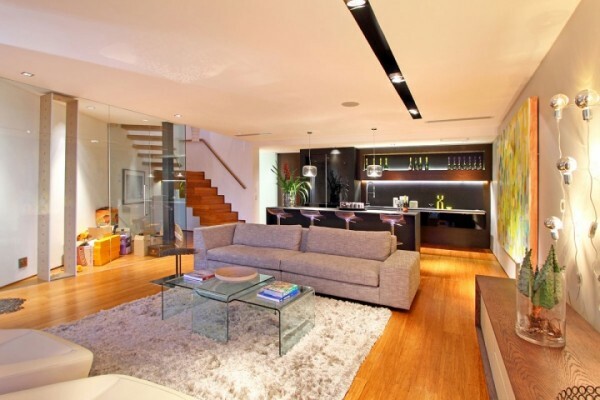 The house is dazzling and engulfed in soft white light from the modern fixtures. 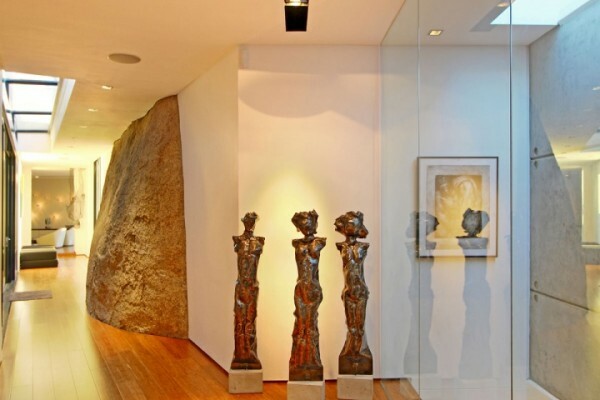 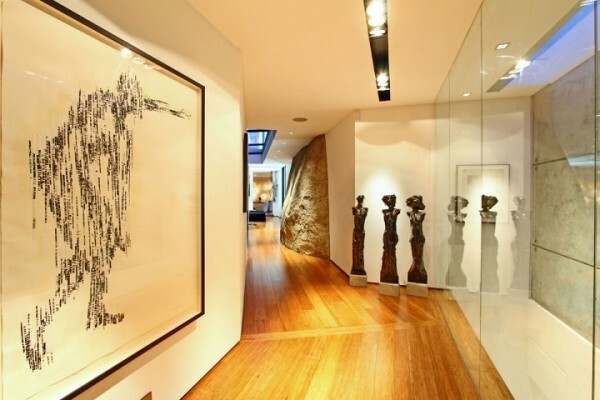 The hallways feature more statues and artwork which ties in the design of the living space, and again, you can’t miss the boulder wall. 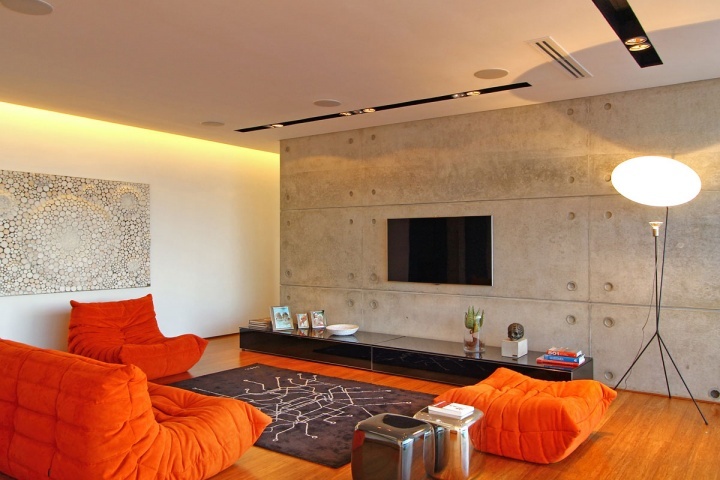 It’s hard to tell where the outside begins and ends with the combination space. 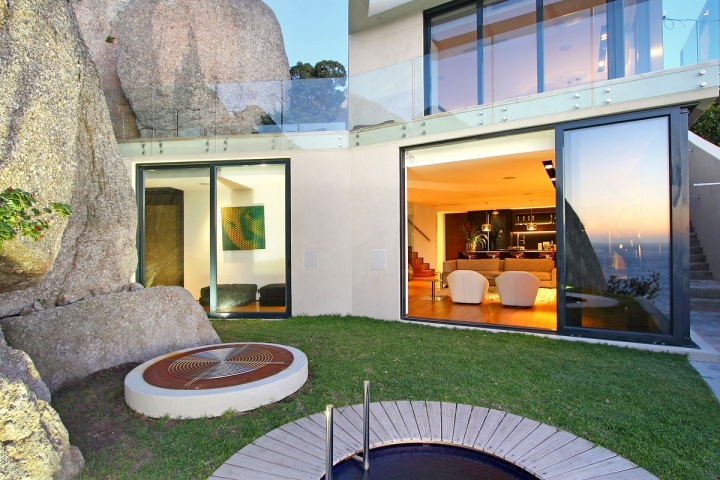 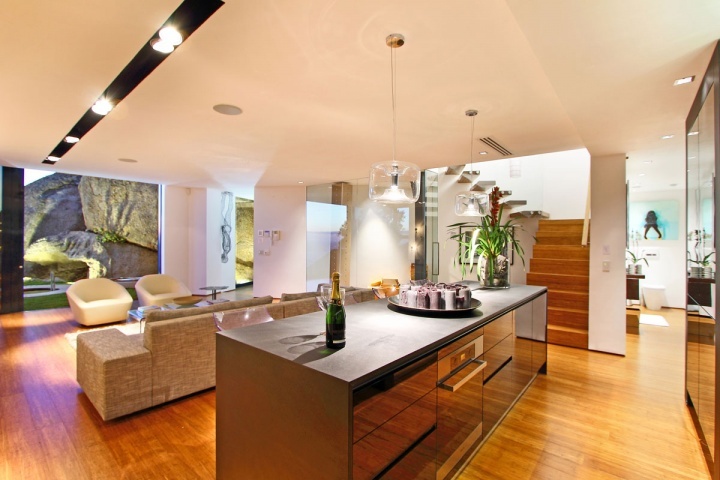 Another complete living space with access to open green space with a Japanese plunge pool. 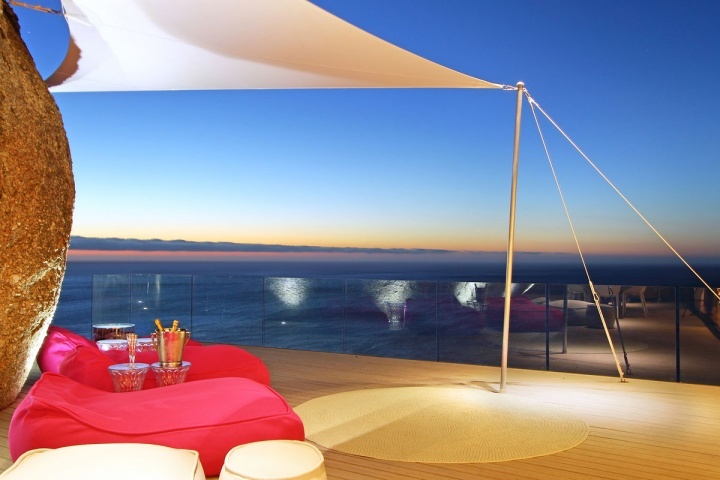 The sunsets that can be seen from the rooftop deck won’t be forgotten that easily. 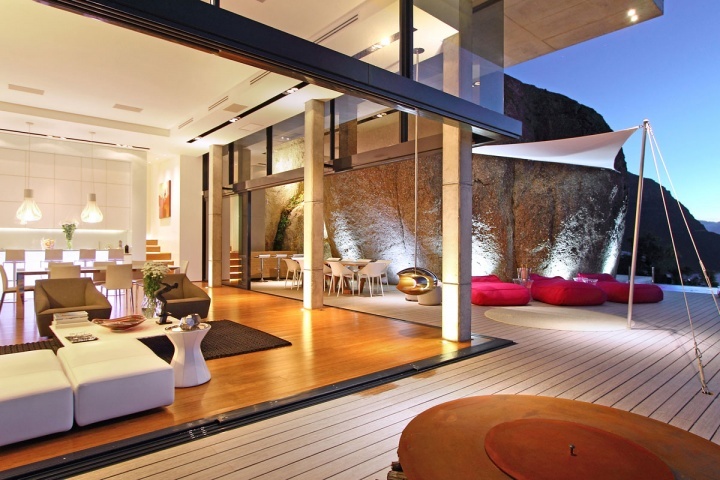 The exterior gives you a sense of how the structure is built into the mountain side.